Elisabeth Kübler-Ross (July 8, 1926 – August 24, 2004) was a Swiss-born psychiatrist and the author of the groundbreaking book On Death and Dying, where she first discussed what is now known as the Kübler-Ross model of the stages in dealing with grief and facing death. She graduated from the University of Zürich medical school in 1957. She moved to the United States in 1958 to work and continue her studies in New York. Interest in death as a transition into a higher state of consciousness moved from the realm of the solely religious when psychiatrist Elisabeth Kübler-Ross caused physicians, psychiatrists, and scientists to take a new look at the meaning of death. Knowledge and understanding of the afterlife can help many overcome fear and pain when making preparations for their own death, or for that of someone they love. Understanding can help tremendously with the grieving or separation process. Kübler-Ross also believed that her research on death and dying revealed important lessons for living—to learn unconditional love and to fulfill life's purpose, which is service to others. Born in Zurich, Switzerland on July 8, 1926, Elisabeth Kübler was one of a set of identical triplets. She weighed only two pounds at birth and was not expected to survive. Elisabeth struggled to find her own identity for as a child all three girls were dressed alike, and her teachers and parents had difficulty telling them apart. They even received the same grades, although Elisabeth was an outstanding student. She claims in her autobiography that she was best known for defending weak or handicapped children from bullies. She also created an animal hospital in her basement for wounded birds, cats, frogs, and other animals. Her harsh father never understood her love of nature and animals, and once took her pet rabbit to a butcher and then forced Elisabeth to join the family as they ate her pet for dinner. Even as a youth, Elisabeth was determined to a make a major contribution to the world. In an interview with ABC News, she reported that she had dreamed of becoming the next Albert Schweitzer. Her father, however, wanted her to be his secretary. She refused and instead worked in a Zurich laboratory and then volunteered as a relief worker. She visited a Nazi concentration camp in Poland after the end of the war and saw, on the blighted barrack walls, hundreds of images of butterflies, a symbol of rebirth amid mass deaths. The experience left a profound impression. She attended medical school at the University of Zurich, and after graduating she married a classmate, Emanuel Ross. They moved to the United States in 1958 and she later gave birth to two children. The marriage did not last and ended in divorced in 1976; however they remained friends until Emanuel's death in 1992. In 1963, Kübler-Ross completed her degree in psychiatry at the University of Colorado. It was there that began her strong academic interest in death and dying concerns, also known as thanatology. In later life, Kübler-Ross became interested in metaphysics, near death and out-of-body experiences and mediumistic attempts to contact the dead. She once said: "Death is simply a shedding of the physical body like the butterfly shedding its cocoon. It is a transition to a higher state of consciousness where you continue to perceive, to understand, to laugh, and to be able to grow." After encountering her first AIDS patient, Kübler-Ross felt compelled to create her own healing center on a 300-acre farm in Virginia. When the local residents found out she had plans to adopt abandoned AIDS-infected babies, her neighbors attacked her—firing bullets through her windows and at her animals. In 1994, her house was set on fire, destroying all her belongings as well as years of journals and research on death, dying, and the afterlife. Her understanding of loss and grieving was deepened through her own personal hardships and painful life experiences. Kübler-Ross suffered a series of strokes in 1995, which left her partially paralyzed on her left side. In a 2002 interview with the Arizona Republic, she stated that she was ready for death. Several interviews and documentaries took place during the time around her death. Her research on death and dying, she believed, taught her the most important lessons about life—to live fully and to love unconditionally. Then, she said, "At the end of your days, you will bless your life because you have done what you came here to do." She died in 2004 at her home in Scottsdale, Arizona. They bring food, they talk to them, they have a feast. There are lots of cultures who have much less of a hangup. The old, old, old cultures are also much more natural. In the more sophisticated, more materialistic Western world, even to die costs a fortune. They put shoes on the dead that are comfortable to wear, and silk pillows, and put rouge on the cheeks, so they look like they're only asleep. It's so phony and so dishonest. But that's more of a modern day deterioration. In the old days, the farmers died here just like in Switzerland. She began interviewing dying patients in 1967 at the University of Chicago's Billings Hospital where she was employed as a psychiatrist. She wanted to learn what patients were thinking as they lay dying. From this firsthand research, she proposed the now famous Five Stages of Grief as a pattern of phases, most or all of which people tend to go through, in sequence, after being faced with the tragedy of their own impending death. These five stages, in sequential order, are denial, anger, bargaining, depression, and acceptance. The five stages have since been adopted by many as applying to the survivors of a loved one's death, as well. She began giving a series of lectures featuring terminally ill patients, forcing medical students to confront people who were dying. Her extensive work with the dying led to the publication of On Death and Dying in 1969. This groundbreaking bestseller revolutionized how physicians treat dying patients. This book advocated for and ultimately produced more humane and compassionate treatment of the dying. She wrote over 20 additional books on the subject of dying, which were translated into 27 different languages. A key to Kübler-Ross's success was her emphasis on communication. She revealed that patients truly wanted to review their lives, their illness, and their imminent death. She believed that when patients and doctors could talk honestly and fearlessly, a good death could be achieved. Colleague Balfour Mount, called her "one of the most effective communicators of the twentieth century." She did not found the hospice care movement, but its adherents credit her with encouraging it. In her lifetime, she received 23 honorary doctorates. What makes a difference is if your spiritual quadrant is open. If you have a faith, any faith, any, that is solid and internalized, you have much less of a problem than if you are a wishy-washy Protestant or a wishy-washy Catholic or a wishy-washy Jew…we're all the same. We're all the same human beings. We all are born the same way. We all die the same way, basically. The experience of death and after death is all the same. It only depends how you have lived. If you have lived fully, then you have no regrets, because you have done the best you can do.… That's why I tell people, and I really mean it literally, if you're not doing something that really turns you on, do something that does turn you on, and you will be provided for to survive. Those people die with a sense of achievement, of priding themselves that they had the guts to do it. Bargaining: "Just let me live to see my son graduate." Acceptance: '"I know that I will be in a better place." Kübler-Ross originally applied these stages to any form of catastrophic personal loss (job, income, freedom), which also includes the death of a loved one and divorce. She explained that if patients were allowed to express their anger, to cry and grieve, to finish their unfinished business, to articulate their fears (work through the above stages), then finally they would reach the last stage of acceptance. It can be a time of quiet and peaceful expectancy. She observed that the struggle disappeared and as one patient described it "the final rest began before the long journey." Many psychiatrists believe real grieving begins after the stages are over, and that "grief work," involving its own set of stages, begins with acceptance, where the Kübler-Ross stages end. In popular culture these stages are almost exclusively applied only to news of one's own impending death. The notion that to resolve grief they must all be followed, in order, is also common. Collin Murray Parkes, consultant psychiatrist at St. Christopher's Hospice in London, credits five-stage theory and its high visibility as a catalyst in stimulating research and changing practice in the death and dying field. However, he notes that more current information shows that the five-stage framework is not as simple as initially described. A February 2007 study of bereaved individuals, obtained some findings that were consistent with the five-stage theory and others that were inconsistent with it. In fact, her original model did not identify five stages of grief. Rather, she identified "the Five Stages of Receiving Catastrophic News." There is no real evidence that people coping with their impending death move through all of the five stages. The path through the stages is not a one-way street: they can repeat, occur out of order, or not at all. It is highly dependent on other qualities, such as emotional ties to family, and other relationships. These stages can also occur in a repetitive, spiral-like fashion where the individual is re-working and re-experiencing various grief stages over time. "Real events," such as moving, getting rid of the loved one’s clothing or objects, tend to trigger a grief regression in which the grieving individual may re-experience anger, shock, or depression. The way in which the particular loss is experienced may also strongly influence how grief is played out. To be fair to Kübler-Ross though, she also agreed that these steps do not necessarily come in order, nor are they all experienced by all patients, though she stated a person will always experience at least two. 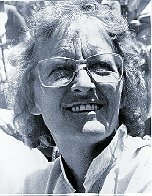 While her most well-known work is On Death and Dying and the five stages framework, Kübler-Ross was also a prolific author of more than 20 books. Her now-classic first book, On Death and Dying, is today considered the master text on the subject, and is required reading in most major medical and nursing schools and graduate schools of psychiatry and theology. Her lectures, workshops, media appearances, and books have reached millions of people around the world, opening discussion of sensitive yet profound issues that affect all people. She received the Modern Samaritan Award and the Ideal Citizen Award for her work. In a mission to continue her legacy, the Elisabeth Kübler-Ross Foundation (EKR Foundation) was formed by her son Kenneth Ross. The mission of the EKR Foundation is simple: continue and grow Elisabeth's pioneering work with the dying and their loved ones. Since her death, hers memory has been honored in many dedications and memorial services around the world. In May 2005, Desert Regional Medical Center, in Palm Springs, California, named their annual hospice volunteer award the Elisabeth Kübler-Ross Hospice Volunteer Award. On June 30, 2005, Hospice of Arizona dedicated their new Pueblo Norte Inpatient Unit in honor of Elisabeth with the name The Butterfly Center. On July 8, 2005, The Dougy Center in Portland, Oregon unveiled their EKR Memorial. A more recent honor is her induction into the National Women's Hall of Fame in Seneca Falls, New York in September 2007, for her work as a groundbreaking crusader for the rights of the terminally ill, including hospice care, living wills, and speaking openly about life and death. 1969 . On Death and Dying. Scribner [Simon & Schuster]. ISBN 0684842238. 1972 . Questions and Answers on Death and Dying. Simon & Schuster [Touchstone]. ISBN 0684839377. 1974 . Death: The Final Stage of Growth. Simon & Schuster [Touchstone]. ISBN 0684839415. 1978 . To Live Until We Say Goodbye. Simon & Schuster [Touchstone]. ISBN 0684839482. 1981 . Working It Through. Simon & Schuster [Touchstone]. ISBN 0684839423. 1981 . Living with Death and Dying. Simon & Schuster [Touchstone]. ISBN 0684839369. 1982. Remember The Secret. Tricycle Press. ISBN 1883672791. 1985 . On Children and Death. Simon & Schuster [Touchstone]. ISBN 0684839393. 1988 . AIDS: The Ultimate Challenge. Simon & Schuster [Touchstone]. ISBN 0684839407. 1991. On Life after Death. Celestial Arts. ISBN 0890876533. 1997 . The Wheel of Life. Simon & Schuster [Touchstone]. ISBN 0684846314. 1999. The Tunnel and the Light: Essential Insights on Living and Dying. Marlowe & Co. ISBN 1569246904. 2000. Life Lessons. With David Kessler. Scribner. ISBN 0-684-87074-6. 2005. On Grief and Grieving. With David Kessler. Simon & Schuster. ISBN 0743266285. ↑ 1.0 1.1 1.2 Laura Newman, Elisabeth Kübler-Ross: Psychiatrist and pioneer of the death-and-dying movement, British Medical Journal, 329 (Sept. 2004): 627. Retrieved January 16, 2008. ↑ 2.0 2.1 Daniel Redwood, On Death and Dying, Interview with Elisabeth Kübler-Ross, HealthWorld Online. Retrieved January 16, 2008. ↑ Paul K. Maciejewski, Baohui Zhang, Susan D. Block, and Holly G. Prigerson, An Empirical Examination of the Stage Theory of Grief, Journal of the American Medical Association 297, no. 7 (Feb. 2007). Retrieved January 16, 2008. ↑ Larry Menkes, The Five Stages of (Reaction Upon) Receiving Catastrophic News, Relocalization Network. Retrieved January 16, 2008. ↑ Christopher Reed, Elisabeth Kübler-Ross (Obituary), The Guardian, August 31, 2004. Retrieved January 16, 2008. Chaban, Michèle. 2000. The Life Work of Dr. Elisabeth Kübler-Ross and Its Impact on the Death Awareness Movement. Lewiston: E. Mellen Press. ISBN 0773483020. Gill, Derek. 1982. Quest: The Life and Death of Elisabeth Kübler-Ross. ISBN 0345300947. Redwood, Daniel. 1995. On Death and Dying. Interview with Elizabeth Kübler-Ross. HealthWorld Online. Retrieved January 16, 2008. This page was last modified on 13 September 2017, at 17:08.